The email marketing become one of the best channels to trade product. You can't afford to miss out. Most likely your subscribers would want to hear from you and ready to spend their money if you are able to showcase the right email marketing and the right product. The people check their inbox several times per day while accepting you to come into their inbox. You may include a call to action in your email because an email marketing without them that's just an email. They tell to your recipients what action they have to take. As your subject line, your CTA has to send a clear message with benefit to persuade your prospects a click-through. They need to be short, meaningful and flashy. Don’t use more than 4 words and create an emergency for instance by adding a promotional time offer. They are the perfect ways to triggered actions and get in touch constantly with your customers. Transactional emails get 4 to 8 times a better open rate than others type of email marketing. So you can not afford you to miss them out. purchase something or subscribe to your list. You must personalize at least the content of your email. In effect, the personalized email gets a higher click rate and transaction rate. The personalization is composed of a unique and targeted content built for your subscribers. For instance, you may personalize according to their interests, their location, purchase history etc. Previously, the personalized email was sent one by one but nowadays the email marketing software lets you send your emails through email segment. It’s much easier. This is not a secret anymore, the emails are more read on mobile than any other type of other devices. You must be responsive, otherwise, you’ll lose a lot of potential customers. Length: your subject line should be short and your content as well. Be precise and clear. Get to the point and highlight the advantage of your email marketing. CTA: Adapt your call to action to the mobile display, the text must be enough readable for your readers. Images: Avoid image that can’t be loading or displayed properly. Run the test appropriate such as AB test or spam testing to ensure the deliverability of your email marketing. This test will allow you to correct your emails if necessary. To be sure to reach your target you can run a split testing, this is a good way to test which version is more appreciated by your readers. You can send an email campaign test to a part of your segments to realize which one performs better than another one. 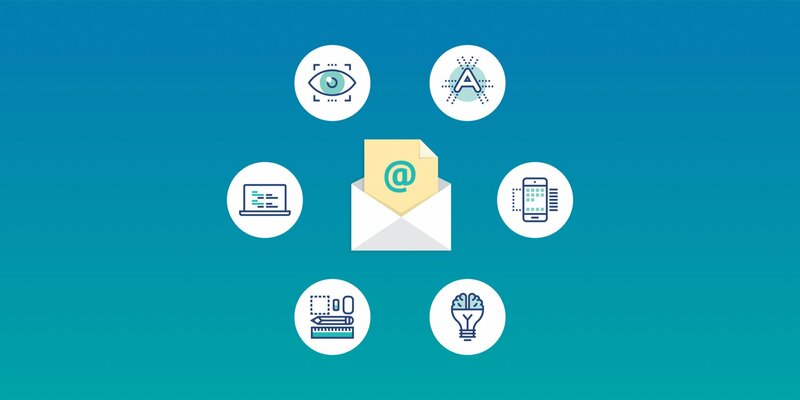 In email marketing, you can test each element whether it be the subject line, the content, CTA or the images. It’s been evident in our years of experience in email marketing that the common pitfalls of the marketers are sending out email campaigns with long subject lines. This will be too long for mobile devices. Nowadays, most people read their emails on mobile. When a sender name is unfamiliar to the recipient most they believe this is a spam email. So, never use an email address such as noreply@….. The subscribers won’t accept you in their address book. In addition, a personal sender email performs better at the level of click-through rate. We think deeply that is a basic rule you should apply when you send an email marketing to catch their attention. We strongly suggest to use subject lines with limited character and not heavy on emojis. Stay short: Use only 21 to 40 characters to get a better open rate. why your subscribers should open your emails? Don’t use aggressive punctuation in your subject lines such as exclamation point or words such as free, discount, special promotion and the like because your email will be classified as SPAM. Make your page content responsive to devices. We suggest 550 x 650 pixels open and display properly. Follow the best website practices and updates to be in the know. Don’t forget to check your email links in your content. Make sure those are clickable links and the right landing page that you wish your subscribers to see. Your content should be clear and well written with accurate objectives if you want your subscribers to click and stay in your email. Make sure when you insert a call to action, be sure that it is readable for mobile users. Set your charset in UTF-8 (Unicode) to improve the display of your email marketing. Send an email test before sending your email marketing campaign to be certain and to reduce the amount of unopened rate. Don’t forget to always include the unsubscribe link in your email. It will reduce the chance to be blacklisted or reported by your email client. It will also keep your email list clean by getting rid of uninterested subscribers in your emails.